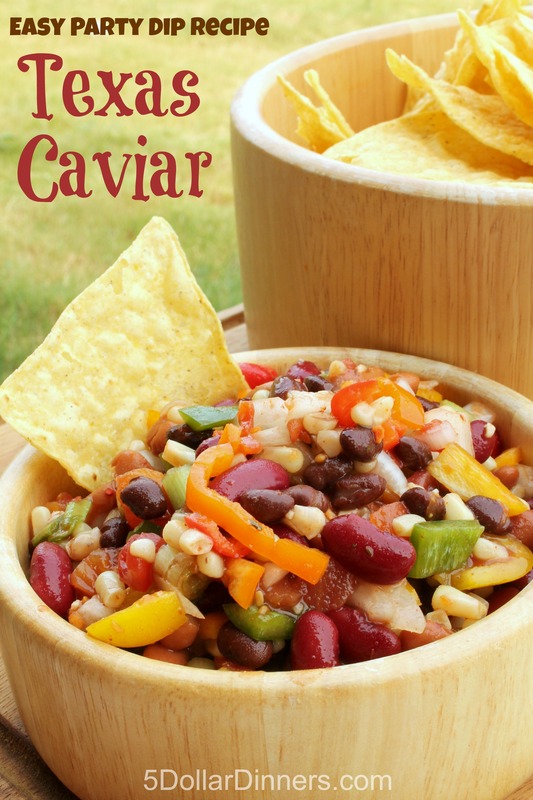 Dare I admit that I’ve lived back in TX for more than 3 years and I’m FINALLY sharing my Texas Caviar recipe. This stuff is like ‘healthy dip crack’ – because it’s not super high in fat or calories and it’s super colorful. And full of fiber. And good for you. 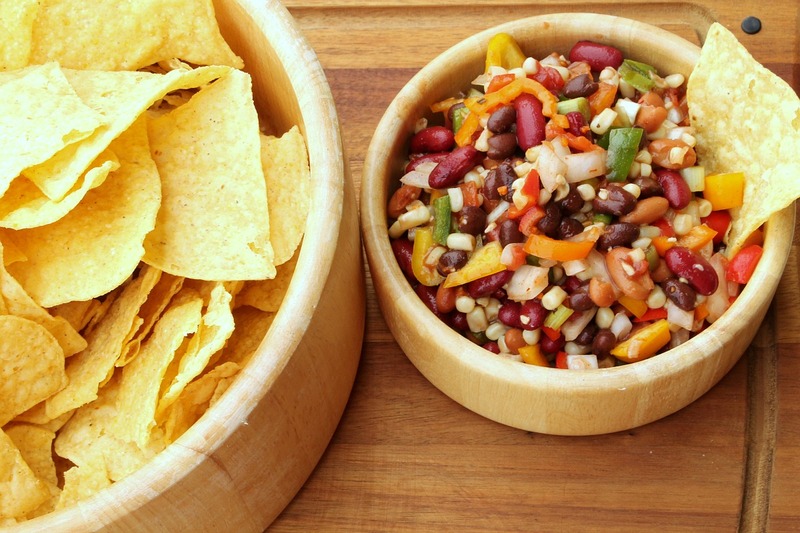 Rinse and drain the kidney beans and black beans to get rid of some of the sodium in this recipe as well as to keep the dip from being too soupy. Drain the corn as well, but keep the liquid for the chili beans and diced tomatoes. Serve immediately. Refrigerate any leftovers in an airtight container. Leftovers will last up to 5 days in the fridge. We like to serve this with chips at parties as well as on top of tacos, burritos, and all Mexican foods. If you still have some dip left over after a few days, you can easily add pre-cooked chicken and more tomatoes and spices to create a delicious chili.